lots of kids know about the drinking game edward 40 hands. if you never have tried this, it is a great experience especially with the band aids! i thought this would be cool to show the band aid brand with the same concept. 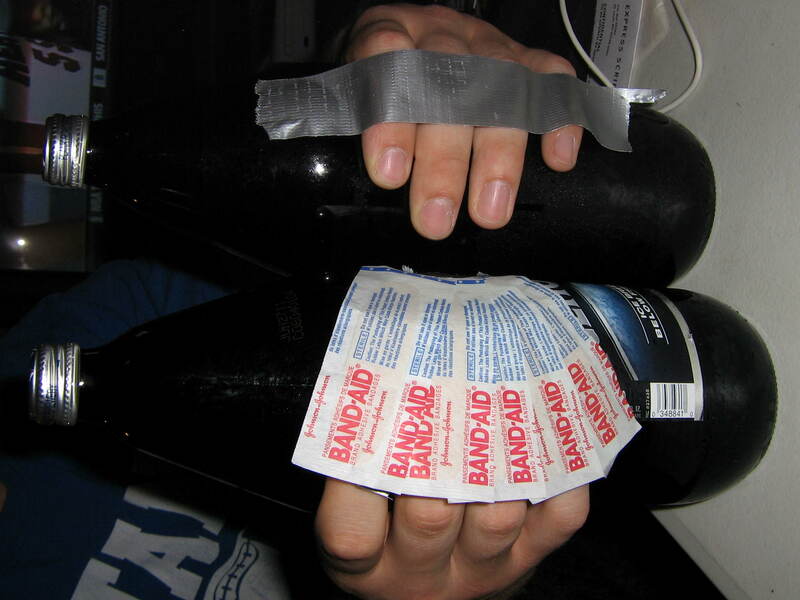 drinking two forty’s is a mission and having my hands strapped with band aids gave me the opportunity to ponder more about them while downing the two forty’s. i taped the band aids together to cover my hand and used duct tape for the other. as you can see the band aid hand sticks out a lot more and grabs the attention of the viewer. it took about 45 minutes to an hr to down both of the drinks. This activity helped me to gather a lot of other band aid ideas because every time i took a sip i would be staring into the eyes of the band aids! go try the band aid 40 experience and see what cool ideas you come up with!